Authors: Marvin D. Seppala, M.D., Robert J. Meyers, Ph.D., John Gardin, Ph.D., William L. White, M.A., Stephanie Brown, Ph.D., Drew Pinsky, M.D. 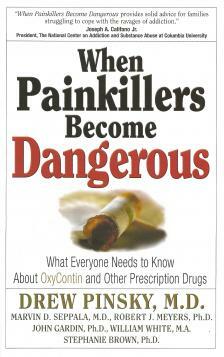 If you are concerned about a loved one's use of pain medications, you need to read this book, When Painkillers Become Dangerous! Whether prescribed by a physician as OxyContin or purchased on the street as "hillbilly heroin," painkilling drugs are extremely effective in eliminating physical, emotional, and psychological distress. The problem is that these drugs are also incredibly addictive. Misuse of and addiction to prescription pain medications has become America's latest, complex, and alarming drug abuse trend. In fact, an estimated 2.6 million people currently use prescription pain relievers non-medically-a dangerous practice that could quickly reach epidemic proportions.